To sustain the growth, it is crucial to address issues like corruption and inequality. A recent article on the growth of Bangladesh set me thinking. How is it that the two sides of Bengal were as different as chalk from cheese in terms of economic growth? The article "Why is Bangladesh Booming" by Kaushik Basu, India's former chief economic adviser and ex-chief economist with the World Bank, traces and analyses the neighbouring country's growth since 1971 when it freed itself from the Pakistan and rechristened itself as Bangladesh. The growth of Bangladesh has taken the world by surprise but what is even more astounding is the fact that it is all set to outdo its rival — Pakistan. Basu writes "Bangladesh's annual GDP growth has exceeded Pakistan's by roughly 2.5 percentage points per year. And this year, its growth rate is likely to surpass India's (though this primarily reflects India's economic slowdown, which should be reversed barring gross policy mismanagement). Moreover, at 1.1 per cent per year, Bangladesh's population growth is well below Pakistan's 2 per cent rate, which means that its per capita income is growing faster than Pakistan's by approximately 3.3 per cent percentage points per year. By extrapolation, Bangladesh will overtake Pakistan regarding per capita GDP in 2020, even with a correction for purchasing power parity." This is no mean achievement for a country that has undergone a lot of upheaval in the last 70 years. In 1947, with the partition came the heart-wrenching division of Bengal that changed lives of millions forever. With loss of lives and property on the one hand and the uprooting of people creating havoc on the other, Bengal was divided into West Bengal and East Pakistan. However, with the two slices of Pakistan having the India spread between them could never be one entity and consequently, Bangladesh was born primarily out of their love for "Bangla" language over Urdu. As is the case with millions of Punjabi speaking people who had to flee Lahore, Peshawar or Rawalpindi that are now in Punjab province of Pakistan, the Bangla-speaking community comprising mostly Hindus, crossed over to the western side of the border to be known as Indians. In 1971, the freedom and the birth of Bangladesh came about after much bloodshed. Now, the question that arises is how could a young country, which was labelled as "poor" and "hopeless" until 2006, suddenly make such gains? On the other hand, West Bengal and India in general, did not see any such upheavals but did not grow economically as it should have. Basu has listed some pointers for the economic growth of Bangladesh. The empowerment of women, the efforts of non-government organisations like Grameen Bank and BRAC and some grassroots initiatives supported by the government have all contributed to the success story of Bangladesh. 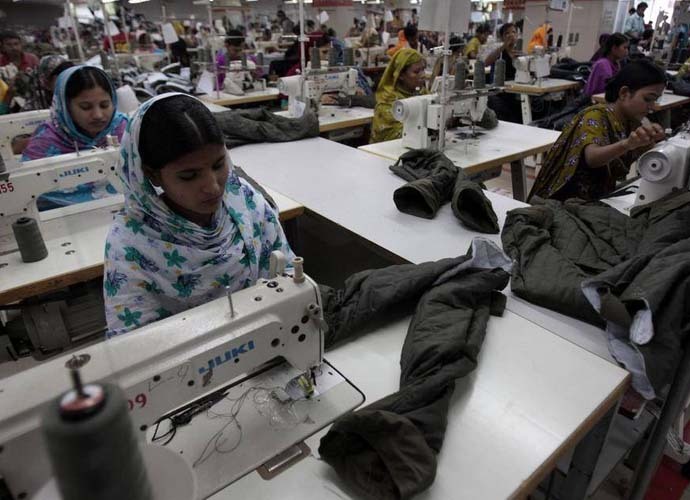 The vibrant garment industry is another reason for the economic growth of the nation. If we do a comparison study between India and Bangladesh, we see a different picture. Basu elucidates that antiquated labour laws have prevented the growth of Indian economy. "In India, the 1947 Industrial Disputes Act imposes heavy restrictions on firms' ability to contract workers and expand their labour force, ultimately doing more harm than good," he writes. This, even though Bangladesh needs stronger regulation to protect workers from occupational hazards. The act was repealed in Bangladesh in 1958, so the country gained in the process as it did not have any restrictions regarding engagement of labour. Let us look at the position of West Bengal since the independence. The first casualty of the partition was the jute industry as the growers and manufacturers got separated. Since 1977, the Left Front government ruled under two chief ministers until 2011. The era was marked by militant trade unionism, lockouts, closure of factories and hence no economic growth. According to figures available, in 1981 West Bengal accounted for 9.8 per cent of the industrial output of India which came down to 5.1 per cent in the 2000s. With the change of power and a new chief minister, things looked to be improving. In 2014-15, West Bengal's economy looked up as did the industry sector and the per capita income has also gone up since. West Bengal is India's sixth largest economy. With the burden of debt that the present regime inherited from its predecessor it is a daunting task indeed to maintain a consistent economic growth. However, they have been able to reduce the state's debt burden after the Trinamool Congress came to power. But despite the decline, the state's debt-GDP ratio continues to be among the highest in the country. With an annual average growth of 7.2 per cent between 2012 and 2015, the state has been among the fastest-growing major economies of the country. Among the 10 largest state economies of the country, West Bengal ranks after Madhya Pradesh and Gujarat. However, such growth has not translated into significantly higher revenues for the exchequer. Its share of tax revenue has been lower than other states. The growth in West Bengal was driven by the agricultural sector. In 2015-16, the growth in agricultural sector had risen to 5.55 per cent as against the national average of 1.1 per cent. The state also has the highest number of MSMEs in the country and recorded the highest bank credit flow to this sector in the last five years. Industrial growth is unlikely to happen in Bengal due to scarcity of land. After the Singur debacle that saw the Left Front voted out of power and brought Mamata Banerjee in the driver's seat, forcible acquisition of land has been banned. This has severely limited the chances of expansion of the industrial hub or growth supporting infrastructure like highways. It remains to be seen how corporates are wooed to invest in the state despite the glitzy business summits held here with tall promises. Basu gives credit to Grameen Bank and BRAC for making considerable progress in health and education so much so that life expectancy of Bangladeshis has gone up to 72 years compared to 68 years of India and 66 years of Pakistan. In a 2015 report titled "Ailing Health Status in West Bengal Critical Analysis", PK Rana and BP Mishra of Utkal University have mentioned that the "underfunding of the health sector and the poor performance of the public health delivery system is crippled by several constraints: vacancies and absenteeism of staff; urban/rich bias in the distribution and use of facilities; lack of drugs and other essential supplies at the field level and low staff motivation and motivation capacity". "Nutrition, health, and education are the three inputs accepted as significant for the development of human resources and the progress of the state of West Bengal during the last decade towards achieving these three inputs have been uneven," says the report. The report concludes, "A huge section of rural Bengal is succumbing to deaths which could be avoided to a great extent with safe drinking water, proper sanitation, maybe with some very elementary medicines. Rural health services which form the backbone of the public health system is lacking in basic infrastructure, staff and essential medicines." Similar problems plague both Bangladesh and Bengal. To sustain the growth in Bangladesh, it is crucial to address issues like corruption and inequality, and this applies to this part of the border too. Another very critical question is the political agenda of the leadership that determines the policies and atmosphere of any country. Bangladesh has seen religious fundamentalism which opposed its progressive social reforms and investment in them. Basu says that a reversal of those investments would cause a severe and prolonged economic setback. He has cited the example of Damascus and Baghdad, which were global hubs of culture research and innovation, but all this was destroyed when religious fundamentalism began to spread. Pakistan too met with the same fate due to a similar reason. He also gives the example of Portugal that lost its global supremacy due to Christian fanaticism. India thankfully remains a vibrant, secular democracy that is growing at a remarkable annual rate of over 8 per cent and aggressive growth policies of the present political dispensation at the Centre have added momentum to the same. Coming back to Bengal, it is essential for the government to keep its secular policies intact and that also means a check on religious fanaticism irrespective of caste or community. 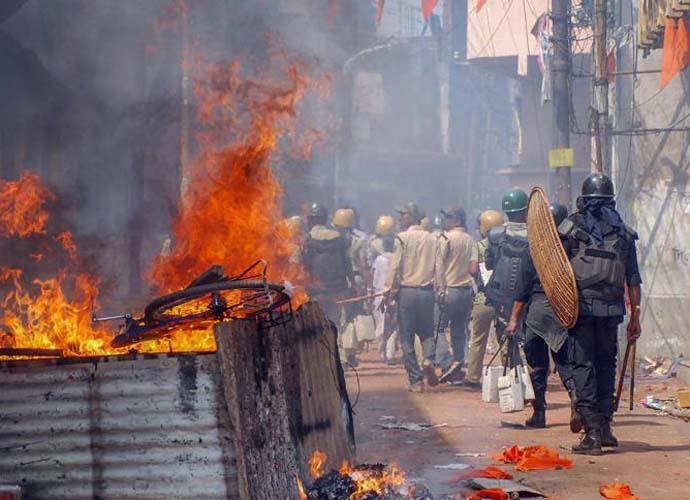 Recent riots both in Basirhat and Raniganj are detrimental to any economic recovery. Only a safe and secular environment can ensure proper development by an able administration.